WASHINGTON Obama administration officials defended their response to the September attack on the U.S. Consulate in Benghazi, Libya, amid new claims that the White House failed to send help quickly enough as militants overran the mission. The U.S. ambassador and three other Americans died in the hourslong battle. 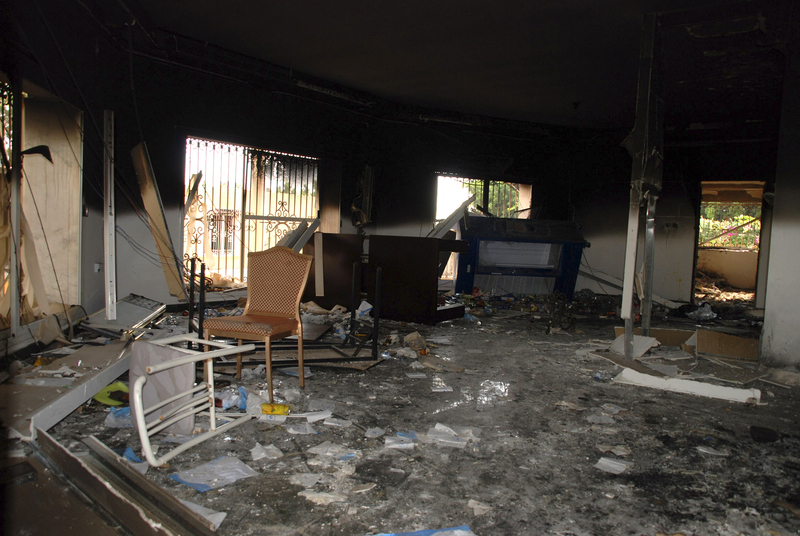 Fox News reported that security officers working for the CIA in Benghazi heard the attack on the consulate but were twice told to wait before rushing to the compound. Fox also reported that U.S. officials refused when the security team asked for U.S. warplanes to bomb their attackers, which would have meant violating Libyan airspace. In response to the report, CIA spokeswoman Jennifer Youngblood said the CIA "reacted quickly to aid our colleagues during that terrible evening in Benghazi." She added: "Moreover, no one at any level in the CIA told anybody not to help those in need; claims to the contrary are simply inaccurate." President Barack Obama said repeatedly Friday that his administration would "find out what happened" and punish those responsible, but he twice ducked questions about whether U.S. officials denied requests for help. "We're going to gather all the facts, find out exactly what happened, and make sure that it doesn't happen again, but we're also going to make sure we bring to justice those who carried out these attacks," Obama said in an interview with Denver television station KUSA. In the run-up to the presidential election, Republicans have accused the Obama administration of distorting the account of the attack on Sept. 11 that killed Ambassador Chris Stevens and three other Americans. Officials first blamed the attack on a mob set into motion by an anti-Islamic film, saying the mob had been infiltrated and overtaken by extremists. Officials later revised their account, describing the attack as a military-style operation that took place without a demonstration beforehand. The new claims come as Republican senators demanded that the Obama administration make public the surveillance video taken during and just after the attacks. Sens. John McCain of Arizona, Lindsey Graham of South Carolina and Kelly Ayotte of New Hampshire wrote to the defense secretary, CIA director and attorney general demanding that the video from Sept. 11 and 12 be declassified. Pentagon and CIA officials declined to comment on the senators' request. Justice Department officials did not respond to requests for comment. U.S. intelligence officials this week turned over intelligence reports to Congress showing what officials at the CIA and other agencies knew and when. U.S. officials who have reviewed the material say it shows confusion during and in the days following the attack. Members of Congress have complained that the White House and the intelligence community stuck to the analysis that an angry mob started the attack long after it had become more clear that it was an organized militant operation.